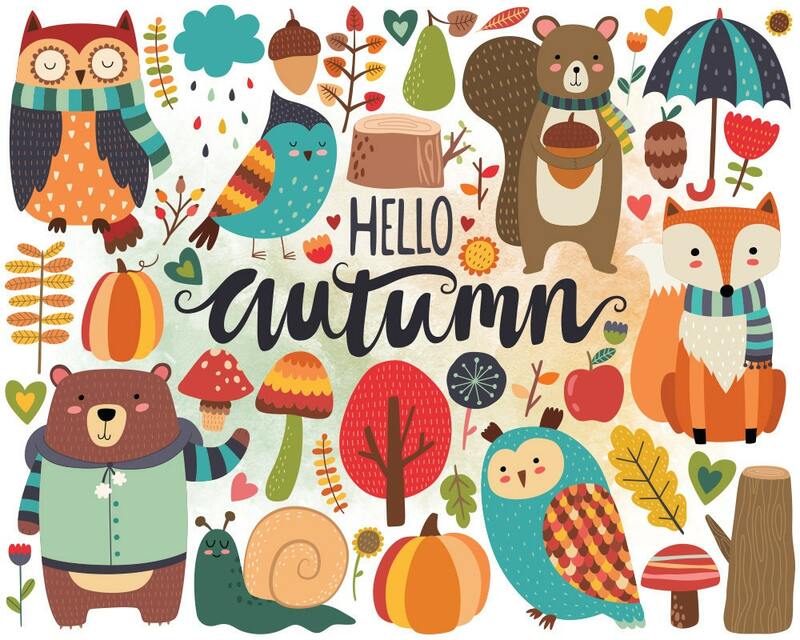 This listing is for a clipart set of 50 cute Autumn woodland animals and fall design elements. This set is perfect for use in scrapbooking, party invitations, greeting cards, decorations, and much more! !